6 or so cars in group A qualifying, we’ve lost lights on the front stretch. The session will continue as they work on a fix for that. Ryan King is quickest in group A. This couldn’t be more of a hometown race track for King as he lives just 10 minutes down the road. Donald McIntosh is quickest in group B. The lights have refired on the front stretch as qualifying concludes. Ryan King and Bailes lead them to the green in the first heat of the night. Green, Bailes gets the jump, false start. Green, they run side by side through turn one. Bailes noses ahead into turn three. Davenport is working the bottom behind them. Davenport climbs into a transfer spot. Bailes takes the win in the first heat of the night. Josh Richards and Billy Moyer Jr set the front row in heat two. Green, Richards leads. Most of the field runs the bottom in turn one. In turn three, Richards enters high and cuts to the bottom for a late apex. 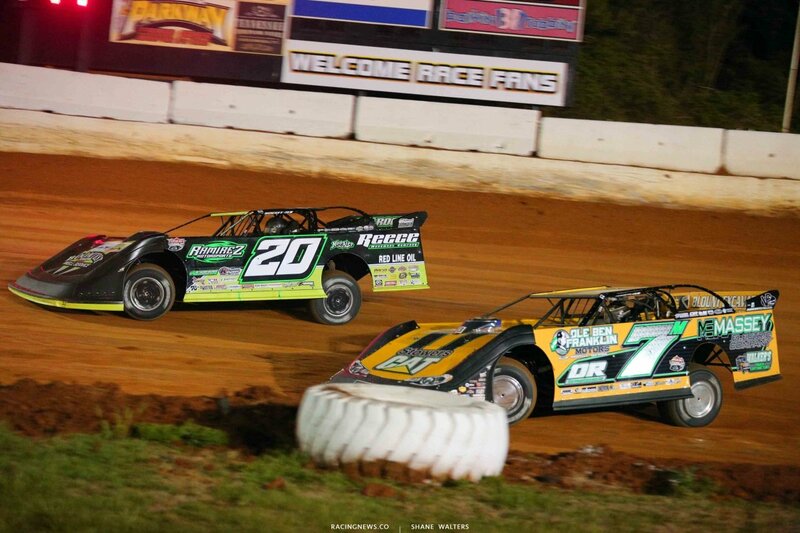 Richards maintains the gap to Moyer. He wins heat two! Donald McIntosh and Dale McDowell trial the pace truck in heat three. Green, false start. Green, they run even off turn two. McIntosh drives it deep on the bottom into turn three. 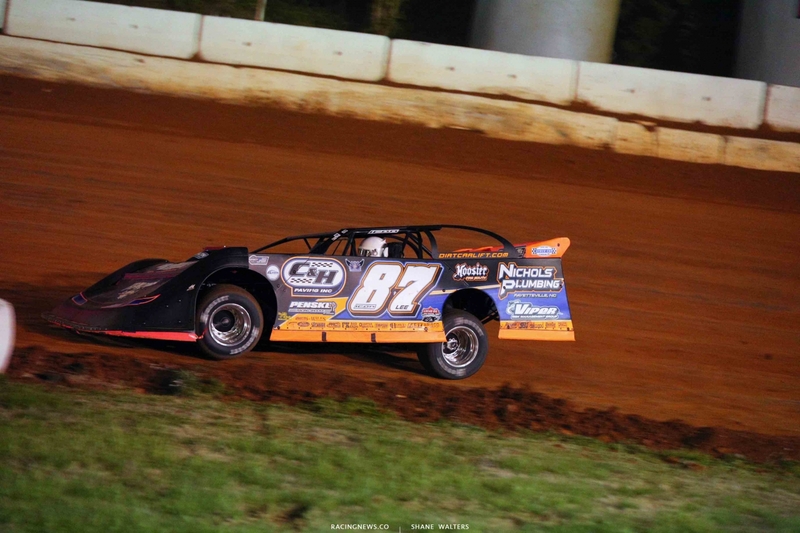 McDowell is back in the gas sooner and wins the battle off turn four on the high side. McDowell drives away. He wins heat three. Moses and Owens lead them to the starting stand in the final heat race of the night. Green, Owens leads into turn one. Hudson O’Neal gets crossed up behind them but saves it. He started last in this race. 2 to go, O’Neal is all over Moran for 4th. He’s looking for a hole on the bottom. Jimmy Owens takes the win in the final heat of the night! It’s a 50-lap main event in Tennessee. $12,000 is up for grabs in tonight’s feature event. They form a 4 wide salute for the dirt racing fans. Ross Bailes and Dale McDowell lead them to the starting line. Green flag, Bailes leads. Richards is looking for 2nd from McDowell. They run side by side. Richards can nose ahead on the entry but McDowell powers by on the outside off the corner. They remain side by side. Lap 2, the caution is out. Jameson has spun in turn two. Green, Bailes leads. Richards noses ahead of McDowell for 2nd. This time Richards is on the too. The back end steps out off the corner, McDowell drives by on the inside, Owens follows. Lap 7, Shanon Buckingham has tagged the inside berm in turn one. He loops it and continues to roll but the caution is out. Green, Jimmy Owens moves to 2nd. Bailes continues to lead. Green, McIntosh is looking for 2nd on the bottom. He’s nearly clear off turn two. Owens fights back on the top in turn three to hold the 2nd position. Lap 20, Hudson O’Neal is slow. The caution is back out. Green, McIntosh is clear of Owens on the bottom. He leaves room anyway on the outside lane. Owens fills it and reclaims the position. Lap 25, Buckingham is slow. The caution is back out. Green, Owens clips the inside berm and skates up the track. McIntosh crosses him and takes 2nd. Bailes leads. Lap 32, Davenport has found speed on the top. He’s one of very few making that work. Most of the field remains on the bottom. 4 to go, car around in turn two. It’s a short shootout to the finish. Green, Bailes leads. Car around in turn two. Green, Bailes drives away as they race for 2nd behind him. 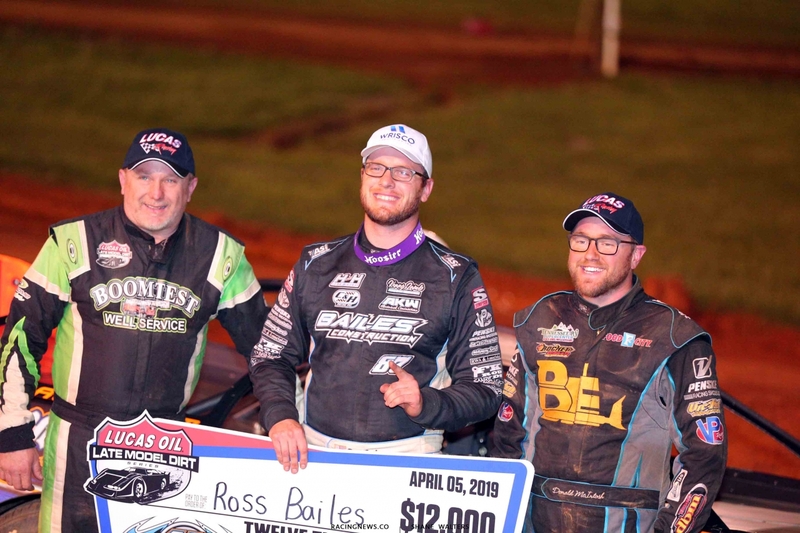 Bailes takes the win at 411 Motor Speedway! That’s his first career win with the Lucas Oil Late Model Dirt Series. 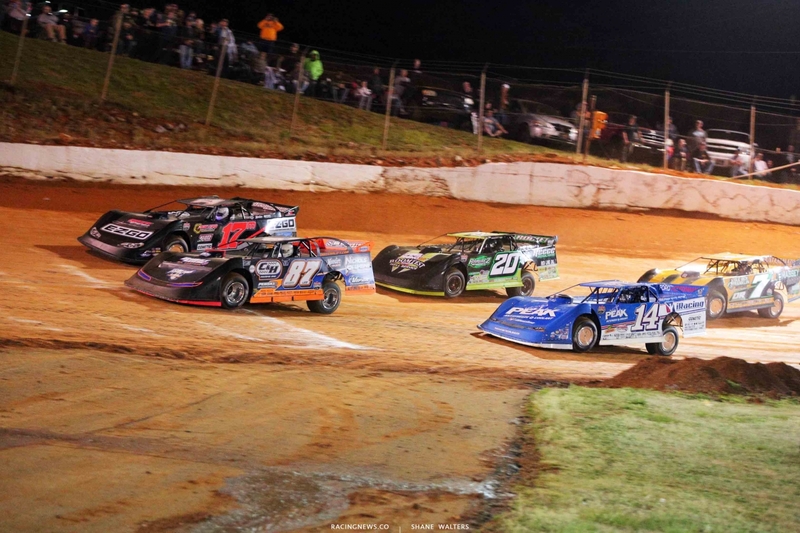 View full 2019 411 Motor Speedway results from Seymour, Tennessee below.